Site 1: How long will a domestic cat survive in the low desert? 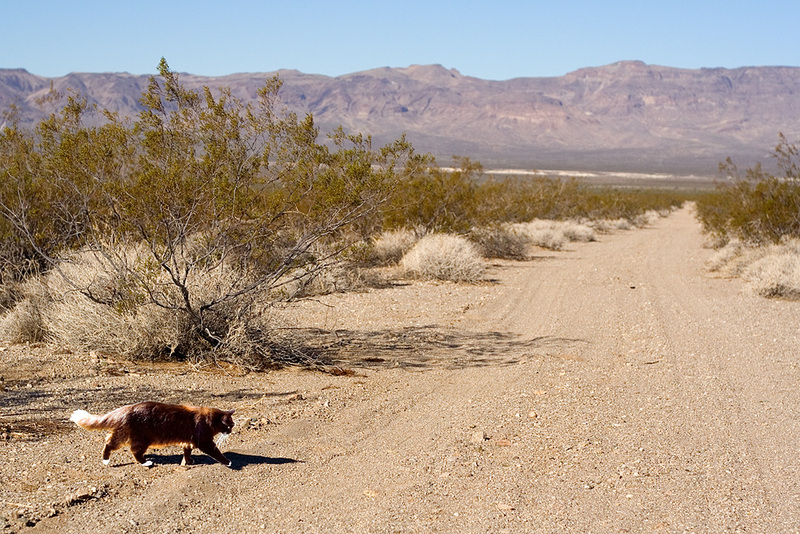 How long can a domestic cat survive in the low desert? Will he die of starvation? Dehydration? Will he get hit by a truck? Will he die of old age surviving on small rodents and the water caches of desert hikers? Or will the wind slowly shred him into nothing but tiny bits of tattered paper? Please feed Blackjack and report his condition.